Office Locks Rekey & Replacement! Fast Response! 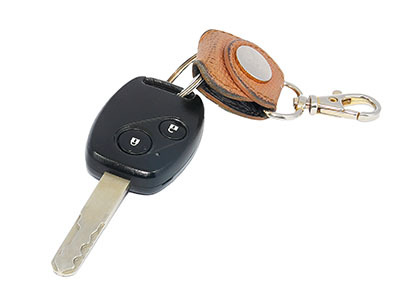 It is super easy to lock and unlock cars with the use of transponder keys that have a chip. You simply need to push a button and you are done. These items are so compact, convenient and easy to use that we almost never think about their importance. The reality is that they are exposed to a wide variety of threats and it is the responsibility of owners to protect them. When you do this, you will have peace of mind about the security of your vehicle and about your convenience as well. Liquids can cause greater damage to ignition car keys compared to their traditional counterparts. This is because if liquid gets inside the electronic unit, it may fail completely. Most modern devices have good protection from this type of damage, but it can still occur. That is why it makes sense not to leave these keys on the table when you have a meal or drink coffee. It is much safer to keep them in your pocket. Thieves are much more interested in stealing car keys than home and office ones. In fact, in recent years, more and more burglars break into houses in order to steal these keys and then drive off with the car. At the same time, the opportunistic thefts remain the most common. Given all this, it makes sense to keep transponder keys in the safest possible place. Avoid leaving them near doors especially in the mud room. They should not be left on kitchen countertops, dining tables and coffee tables inside the house. It is best if you keep them on shelves high above the ground. This will also help to reduce the risk of accidental damage and the need for key repair. Make sure that they are not clearly visible for maximum protection. The risk of losing these keys is also higher compared to losing their counterparts for home and office doors. In case of loss, car lock change may be required in addition to key replacement. You can follow a set of simple rules to avoid loss. You should always check the dashboard before you close the car's door to avoid dealing with vehicle lockout. Have a special place for keeping your key in your bag and in your home and office. Use a colorful and/or big and heavy keychain to reduce the risk of accidental misplacement. Take all of these measures for the best results.